Vacation reimbursement. 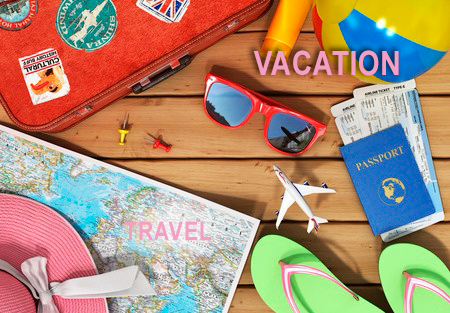 Yearly vacation days are increasing in certain organizations—as many as 21 days are now standard for some companies. The rare employer is encouraging its teams to utilize extended vacation time in a surprising way: by reimbursing expenses. Moz employees get a $3,000 bonus to put toward travel when they use their 21 vacation days each year. Sabbaticals are being implemented in a large number of companies around the world. Some organizations are providing a full four-week paid sabbatical for employees of at least five years. In the case of Epic Systems, a travel fund for the employee and one guest is provided to reimburse travel expenses during that time. Paid time off. Unlimited PTO is popular in a number of businesses—the philosophy being that if a company trusts employees to get work done and manage their own schedules, team members will be happier. Happy teams tend to stay for the long haul, so some CEOs view unlimited paid time off as an investment in the company’s future. Extended holidays. Businesses that tend to slow down around the holidays have begun to build-in extra time off for their teams. This allows employees better family time and more rest while increasing office moral. Birthday benefits. A fun perk some companies are gifting is a paid day off for each team member’s birthday. This personalized benefit goes a long way toward team member happiness. From health insurance to paid sabbaticals, in-office massage to student loan reimbursement, employers are broadening the scope of their perk packages every year. Though some are expensive to start, others have more to do with thought and personalization than expense. Whether rewarding veteran employees or luring new hires, consider some of these fun perks to keep moral high and turnover low.